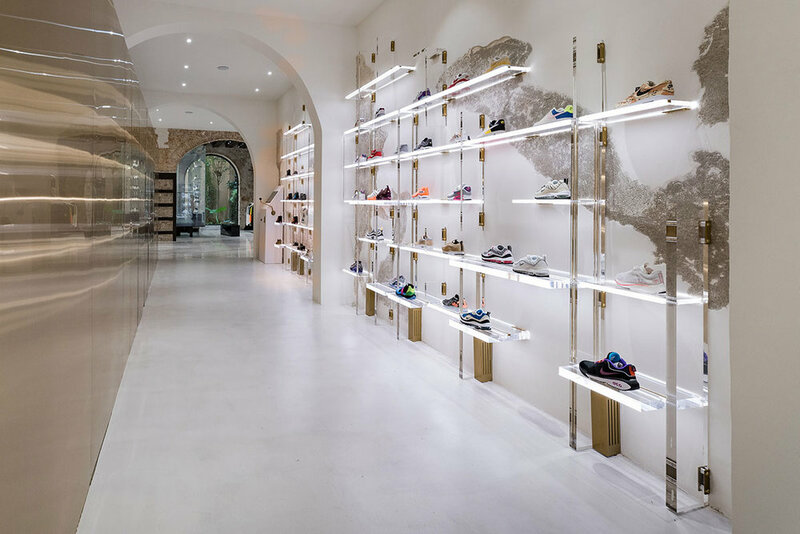 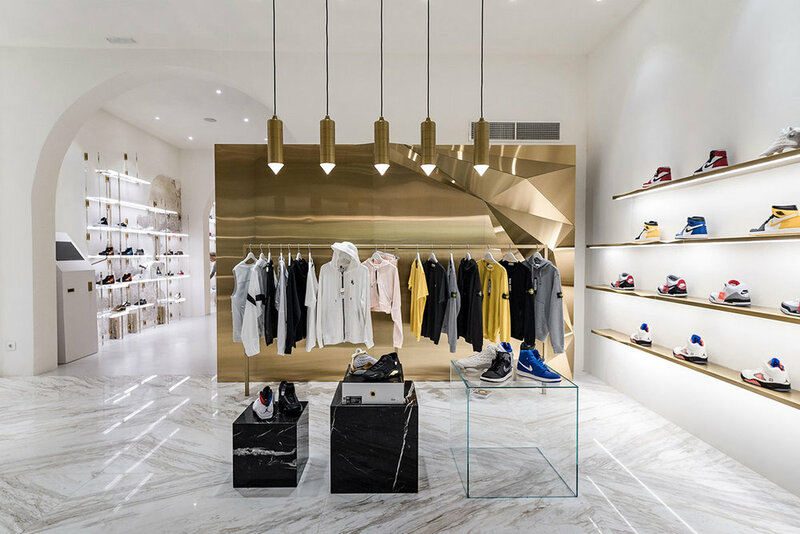 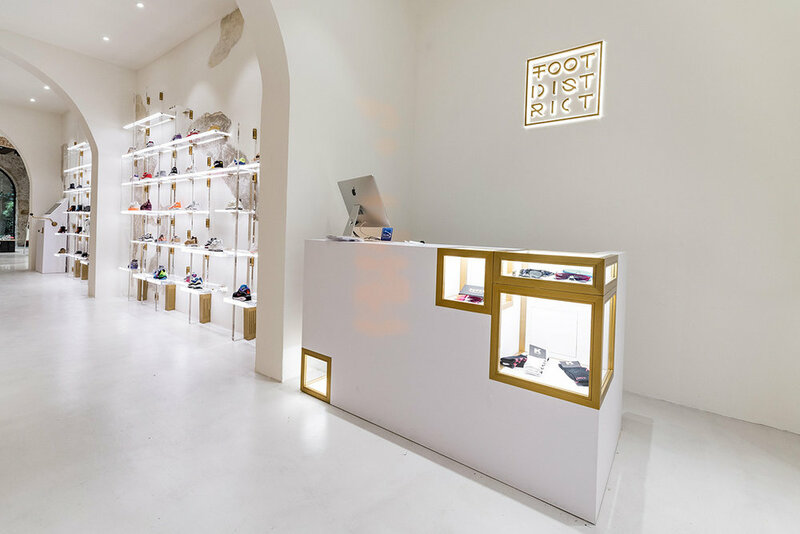 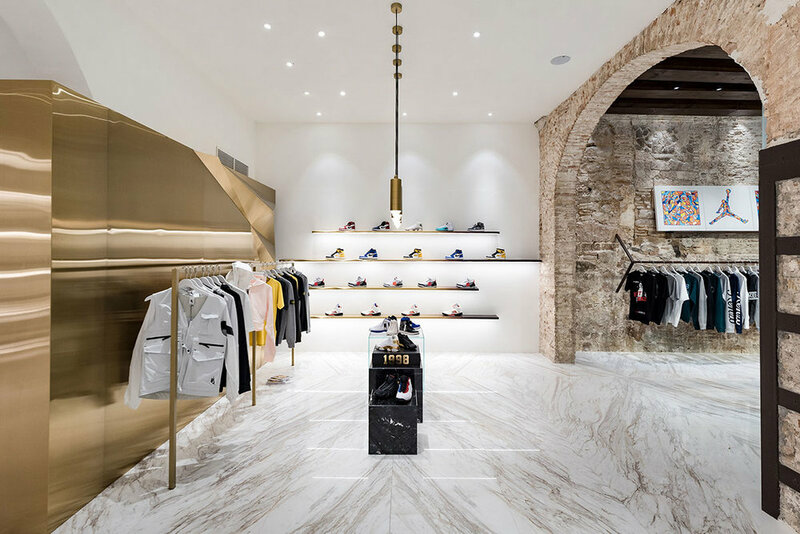 Foot District - Barcelona — Addicted To Retail, Inc.
Addicted To Retail (ATR) presents: Foot District brand space in Barcelona’s famed Gothic quarter. 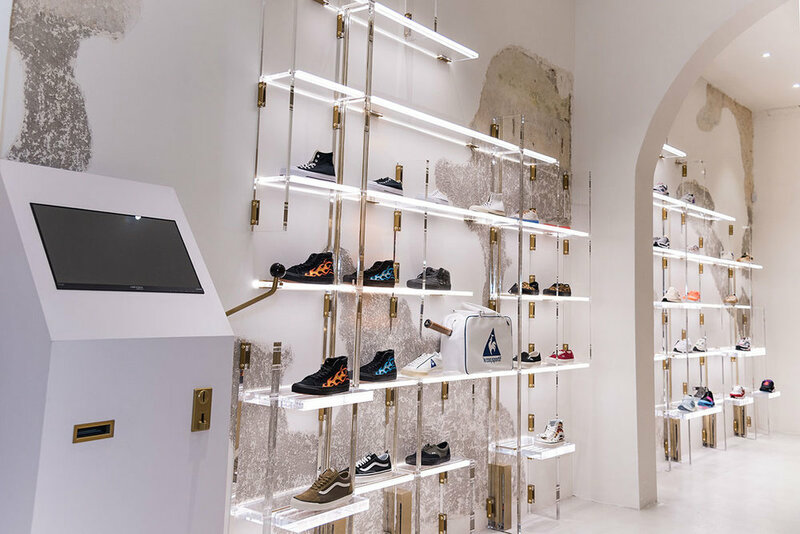 Following its first location in Madrid, premium Spanish retailer Foot District has opened a brand new space in Barcelona. 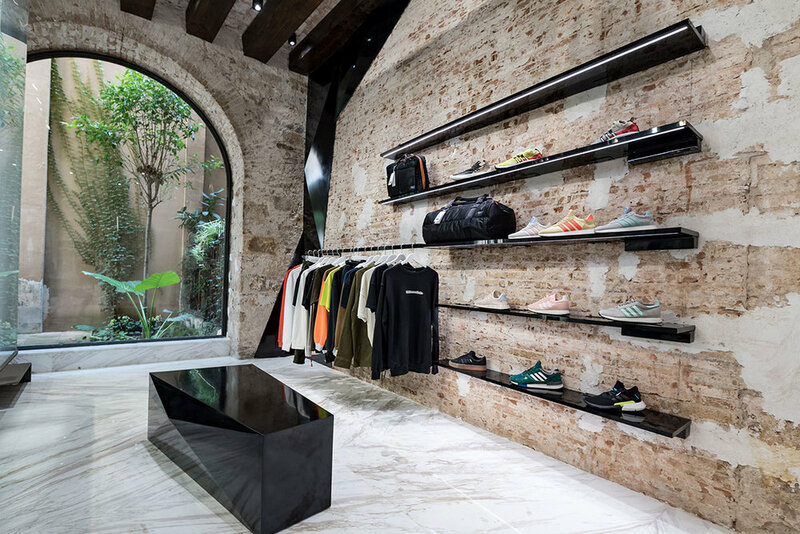 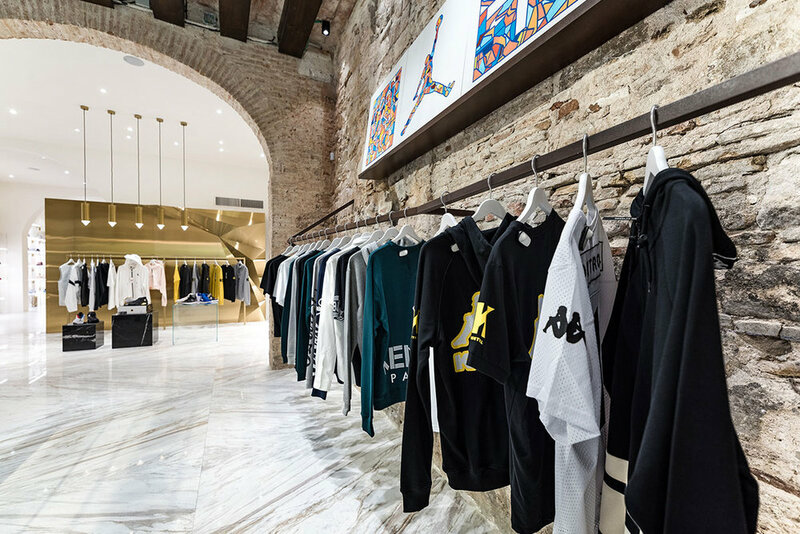 Located in the heart of Barcelona’s famous Gothic quarter, the new store occupies the ground floor of a century-old building. 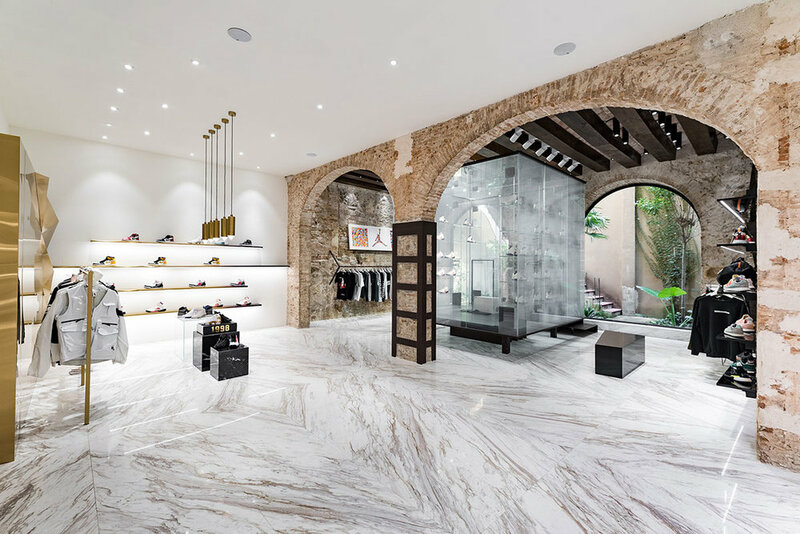 The space is a mixture of past and present, having been renovated to maintain historical elements including exposed brick, grand archways, and white marble flooring. 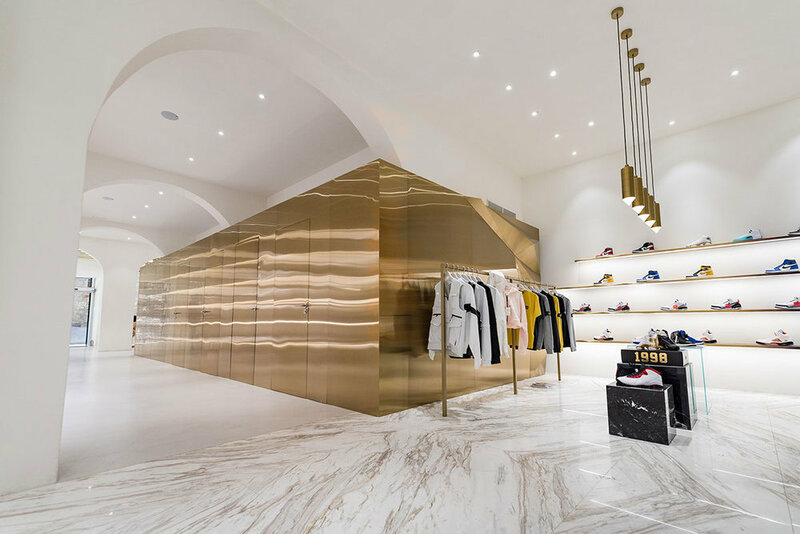 Gold accents on the walls and ceilings add a touch of luxury. 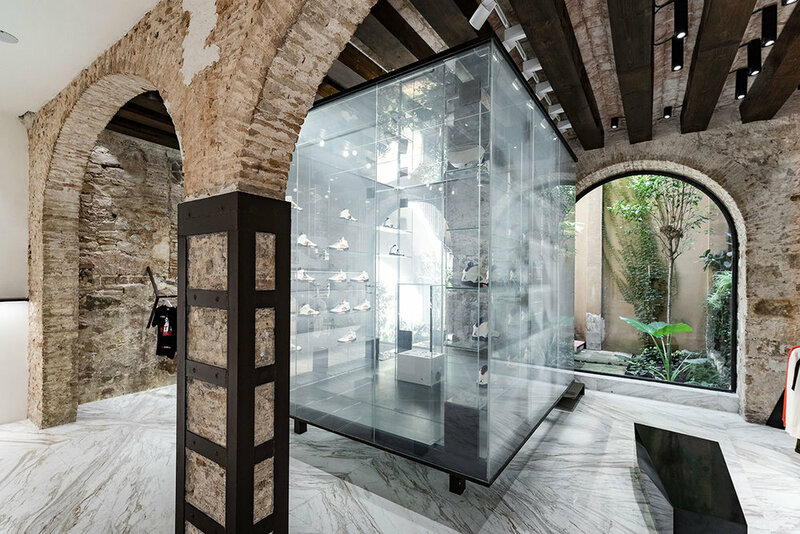 In addition, Foot District Barcelona features a glass cube in the middle of the store, which further underlines the contrast between old and new.